This is the first book in Anne Bishop's The Black Jewels trilogy, and I made the mistake of bringing only this one on vacation with me. I couldn't wait to read the next one! This novel is told from multiple points of view, from everyone's point of view but the heroine of the novel. She is a child of prophecy, the one whose destiny is to right the many wrongs of Terrielle's warped society. Terreille's society is matriarchal, but while men once willingly served women, men are now enslaved and ruled by corrupt women who cruelly eliminate all threats to their power base, male or female. Bishop's world is a complex place, and at the end of the novel I felt as though we had only scratched the surface. Much of the story is set in hell, with Saetan as the ruler, only he is not the spooky demonic lord one might expect. Rather, he is a father who grieves over the sons who were torn from him at a young age and forced into the most demeaning form of slavery, and who are beyond the reach of his help. Enter Jaenelle, the Witch of prophecy. She is a mysterious child whose basic grasp of magical craft is so abysmal her family believes her to have no talent, but who can perform immensely powerful magical feats through intuition alone. She prances into hell one day, and before he knows it, Saetan becomes her teacher, along with many other of hell's denizens, who are equally charmed and infuriated by her. Saetan's lost son Daemon becomes her teacher as well, but in the world of the living. Jaenelle is a threat to the corrupt rulers who are determined to destroy her when they find her - and how can Daemon hope to help her, as much as he'd like to, when he is magically bound and controlled by those in power? As talented as Jaenelle is, she is only a child - but she has seen things no child should ever see, and she has learned to hate. What will be the result if such power becomes twisted? What price will the world pay if her mental equilibrium is destroyed? This is a powerful beginning to a complex story, hard-hitting and graphic at times, and definitely not for the faint at heart. This was a fantastic series. Can't wait for the fourth book to come out sometime next year! Don't tell me it doesn't end with the third one! I'll doubtless be happy about that when I get to it, but I hate having to wait around anxiously for the next book to come out! Oh, the BJT is so good! I always recommend buying the omnibus edition which has all three novels in one. After the trilogy there's Dreams Made Flesh which contains four stories, I believe. I haven't read it yet but I'm told the stories kind of wrap things up. Another book set in the world is scheduled for release in March. I've been told it's going to be about Surreal. Oh yeah, the title of the book--the (possible) Surreal book, is called Tangled Webs. This is, hands-down, THE best series I've ever read. It made me cry even the second time I read it through, and I almost never re-read books. 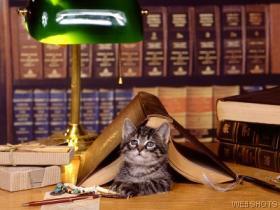 Lit feline - LOL! I can believe it! I actually went online on vacation to put books two and three on hold, so I wouldn't have to wait so long to read them after I got back. I've been at the library so long that It never even occurred to me to stop by the book store! Although now that I see how ratty the second volume is, I wish I'd bought it so I could donate it and swap out the old one. Wow, Heather - that is a ringing endorsement! I'm glad to hear the whole trilogy is great. The first one is a hard act to follow, I'd say. As soon as I finish my current book, I'll get started on #2 - I can't wait! Don't you love that feeling of having a book that you know will be really good sitting there waiting for you? 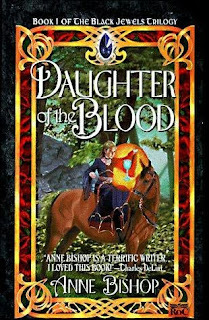 Anne Bishop is one of those authors I've been meaning to read for years but never got around to. Your review makes me think this is something I'll really like. Based on the books you've written about, I think you'd definitely enjoy them. It will be fun to read your review when you read them! I LOVE this series and I can't believe I hadn't found the news that she's writing a new book set in the world. Hopefully it will live up to the originals (I was a bit disappointed with Invisible Ring which is also set in the world). The entire trilogy is strong, you're in for a treat! Thanks, Kim - it's been fun to see how much people love these books. Of all the reviews I've posted so far, this book has gotten the most positive comments! I thought it was a good read as well, and I keep coming back to this world for re-reads. Funnily enough, I couldn't get into the Sebastian/Belladonna pair of books though. I hear you. My 'to read' pile is taller than I am, and growing faster than I can read it. I've just linked your review from mine on re-reading the book (ended up finishing it at 3 AM). As good as I remembered it to be.